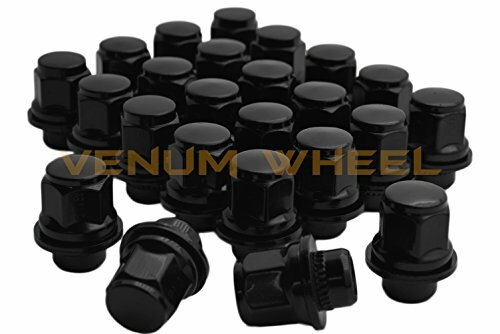 These 24 Pc Toyota & Lexus OEM Replica Lug Nuts are designed to replace your OEM lug nuts with a nice, flawless, & beautiful black finish, improving the look of your vehicle instantly. These will only work with OEM Toyota/Lexus wheels and or wheels which require mag seating. -Must be torqued down to FACTORY SPECS. -If you are not sure, you can always call us or email us and we will point you out to the right direction. We will be more than happy to help and get your order correct the 1st time. One of the best replacement lug nuts out in the market today.